If you are looking for someone who will work with Utah wedding decorators, for a brilliant way to make your wedding or event guests go ‘aww’ without breaking the bank, then you have come to the right place. Uplighting is a new feature offered by Opus Productions. Uplighting and ambient lighting can create a truly magical background for the most beautiful and well planned day of your lives. Using lighting to bring out the colors of your wedding, your bridesmaids dresses, your flowers and the aspects of the room help create a truly unique and exceptional wedding experience. There aren’t too many extra services that you can find where you add a lot of eloquent class for such a little price. We can match just about any color you throw at us and it will really make your venue, pictures and event POP! There are many different ways we can add character to your event and we would be delighted to show you how. 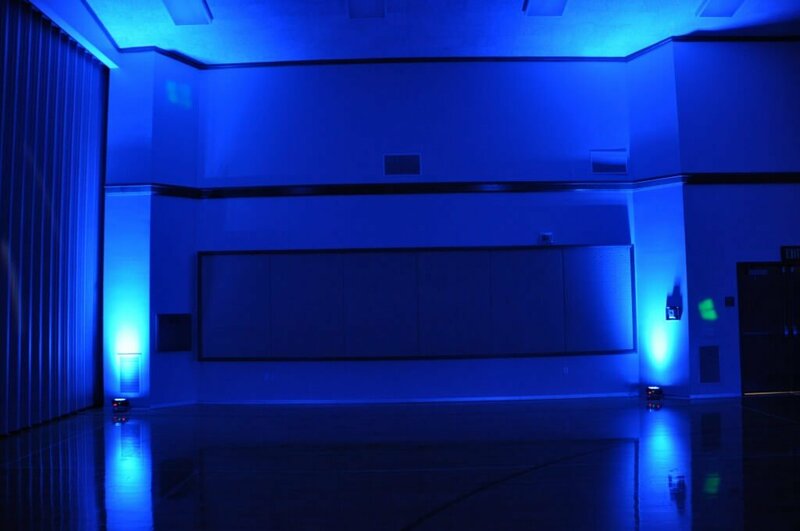 We are here to help you add some umph and dance lighting for your event to brighten things up a bit. Our professional lighting package can really create a spectacular atmosphere. We offer much much more than just a DJ service as we are a full entertainment company and lighting is our second speciality which works hand in hand with other Utah wedding decorators. I would dare say that most of our clients chose to add on a lighting package because it’s amazing. 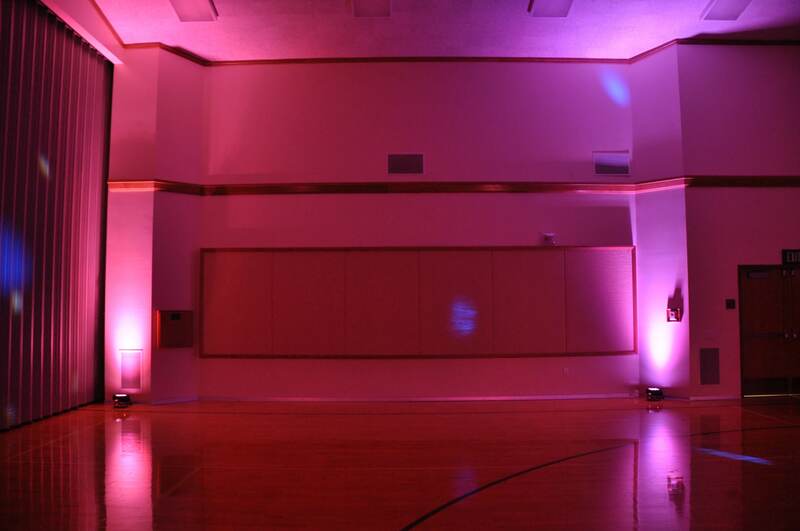 The proper lighting creates an exciting feel and helps to encourage your guests to actually get out there and dance. Besides, who doesn’t want to dim those overhead lights and encourage a dancing atmosphere! Be sure to contact us now for some great times and creations of perfect memories!